Loosened regulations in the country have opened the door for private ATM providers. A decision by the Central Bank of the Argentine Republic to ease regulations on automatic teller machines has led to the creation of a plan to install 4000 new crypto-compatible ATMs, according to a Bitcoinist report. While the change in regulations does not mention anything about cryptocurrency specifically, the regulations have been adjusted in two key ways: firstly, they now allow for the installation of ATMs outside of banking establishments (ie grocery stores, pharmacies). Secondly, private companies are now allowed into the ATM industry. Previously, operating licenses were only granted to international Link networks and the local banking network Banelco. The Odyssey Group originally entered the Argentinian ATM market last year, when the company installed 200 crypto-only ATMs across the country. The ATMs allowed for the two-way exchange of Bitcoin, Litecoin, and Ethereum. Each of the ATMs comes with a rather hefty price tag–$8000 a pop, plus an installation cost of between $1000 and $1500. Independent owners will be responsible for keeping the machines stocked with cash. However, Odyssey has predicted quick returns, saying that each machine will pay for itself within five or six months. A well-located machine will allegedly process around 10,000 transactions per month. 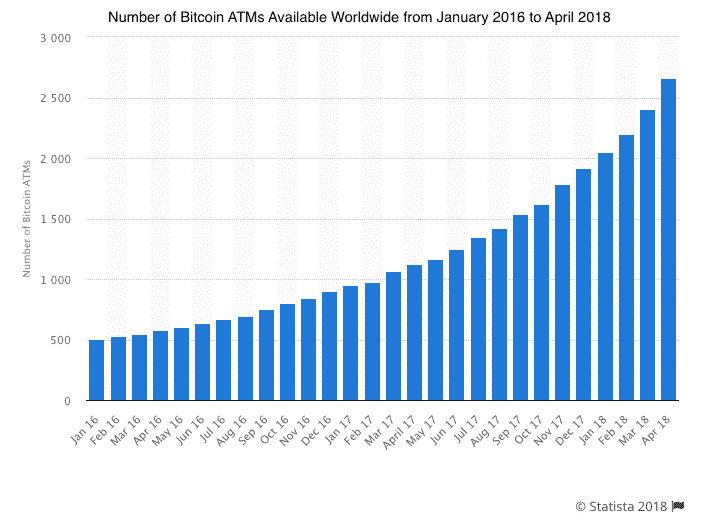 Crypto-compatible ATMs are increasingly beginning to pop up in other parts of the world as well. UK-based Bitcoin ATM company Bitlish told CoinTelegraph last May of plans to install 5,000 Bitcoin ATMs across Europe; a report from Statista tells that as of April 30th, 2018, there were 2662 Bitcoin ATMs installed worldwide.